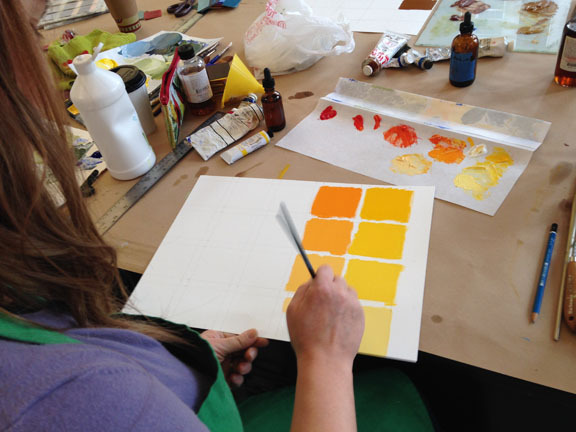 Color Boot Camp, which started in January, is in its final weeks. We’ve had a fabulous session with a group of six excellent painters. 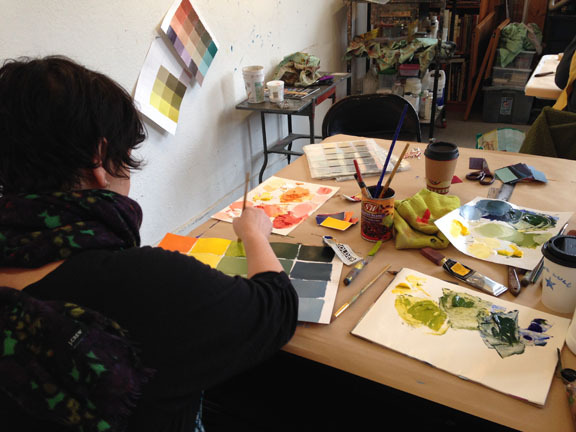 Choosing just three pure pigments that fall into the red, blue, and yellow categories, each student mixed a full palette of secondaries, tertiaries, tints, and tones, 81 colors from just 3 colors and white, ending up with a set of useful reference swatches. 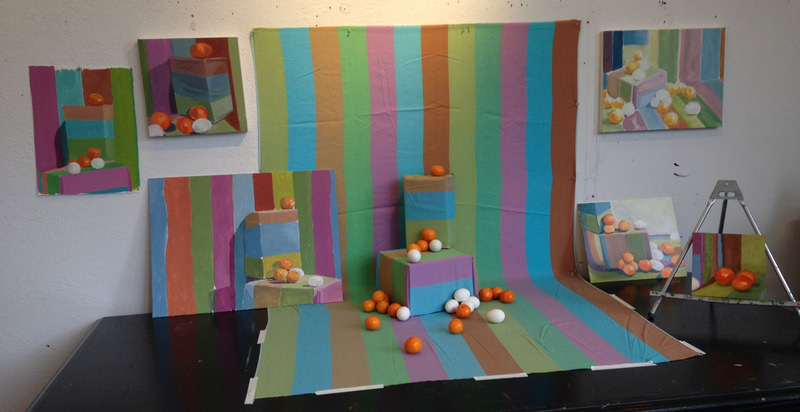 We used that palette to paint this still life, paying particular attention to the colors of the shadows, and how to interpret and make sense of its weird colors with the palette you have. Everyone’s palette was slightly different, since they’re each mixed from different primaries, but each palette has an internal cohesiveness to it, lending harmony to the paintings. This is fascinating! Thanks for sharing, Jane.